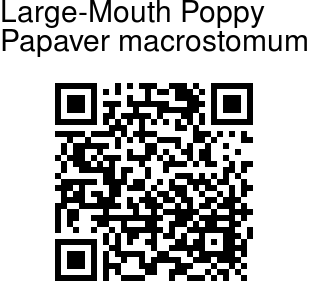 Large-Mouth Poppy is an annual weed common in wheat and mustard fields in Kashmir in spring, looking similar to Papaver rhoeas and P. dubium but easily distinguished by elongated capsule, deeply dissected marginal stigmatic lobes which are distinctly keeled and drooping down the upper margin of capsule with 5-10 rays, as also the peduncle is appressed hairy. In P. rhoeas capsules are subglobose, rays always more than eight, shallowly lobed and hardly reaching the edge of capsule. P. dubium also has capsule elongated and similar in shape to P. macrostomum, fewer rays usually 6-9, but shallowly lobed and not reaching the edge of capsule. 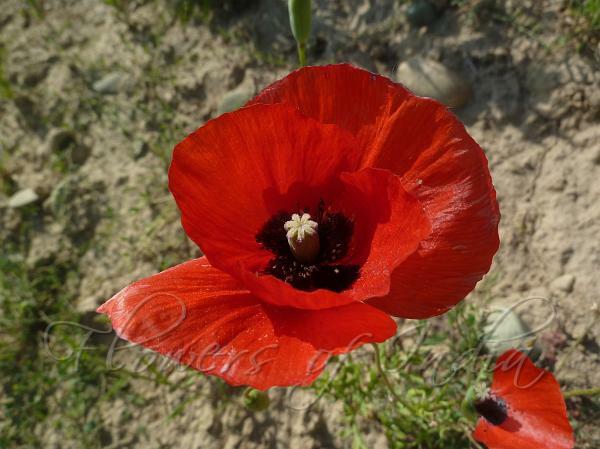 Large-Mouth Poppy is found in Armenia & S.W. Asia, Turkey, Afghanistan, West Pakistan & N.W. Himalayas. Flowering: April-July.